One of the sweetest and best Korean dramas I’ve watched, Queen In Hyun’s Man, also known as Queen and I, is a love story between a nobleman Kim Boong Do (Ji Hyun Woo) and an actress Choi Hee Jin (Yoo In Na). It is a historical-modern fusion fantasy-romantic drama about a nobleman’s struggles and adventures who finds love 300 years later than his own time. If you're looking to see a great drama that'll make you smile, give you butterflies in the stomach and if you're a sucker for a feel-good ending, this drama will not disappoint. Queen In Hyun's man is a tasteful concoction of great love story, lovable and interesting characters, good casting, well executed fight scenes and good-quality color and effects. What more to look for in a drama to entertain you through sixteen episodes? This is certainly one that would keep you, especially if you’re romantic-comedy enthusiasts, up and excited until the end. Nonetheless, allow me to go through the things that I really enjoyed and why this drama is worth your time. 1.) Queen In Hyun’s Man is a fusion-romantic-comedy-fantasy drama where the past meets the future and would give you a tad bit of everything in just the right doses. The plot is simple and not too difficult to follow despite the two timelines and the number of characters. There’s the political conflict in the past, professional conflict in the future then there’s the question of how would the main characters, already in love and crazy about each other, overcome the conflict of time and fate. I enjoyed every single episode, always with something to look forward to and never a dragging moment. I’m sure Queen In Hyun’s Man will make you laugh out loud, cry your heart out and fall in love with the main characters. 2.) The characters and the actors that portrayed them are interesting, very likable and very fitting. We have Kim Boong Do, the ultimate leading man played by Ji Hyun Woo, Choi Hee Jin, the charming actress portrayed by Yoo In Na and their surreal and undeniable chemistry. The camera just loves them and they just looked too good together. The romantic and kiss scenes looked very natural and endearing that there is no other way it would’ve affected the drama but emphasize and made the love story more believable. I’m satisfied with the acting of all the characters from the facial expressions to the gestures to the delivery of the dialogues. 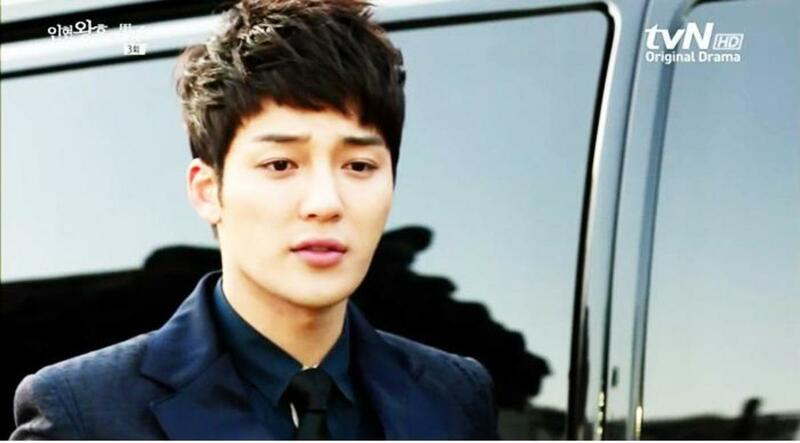 Kim Boong Do is an Intelligent and wise nobleman who pledged his loyalty to Queen In Hyun. Undeniably, the ladies’ favorite character in this drama; tall, boyishly handsome, intelligent, rich, kind and charming- all these rolled into one unbelievably attractive persona. And as if these qualities aren’t enough, he’s also an expert in martial arts and sword fighting. Definitely, the ultimate leading man. 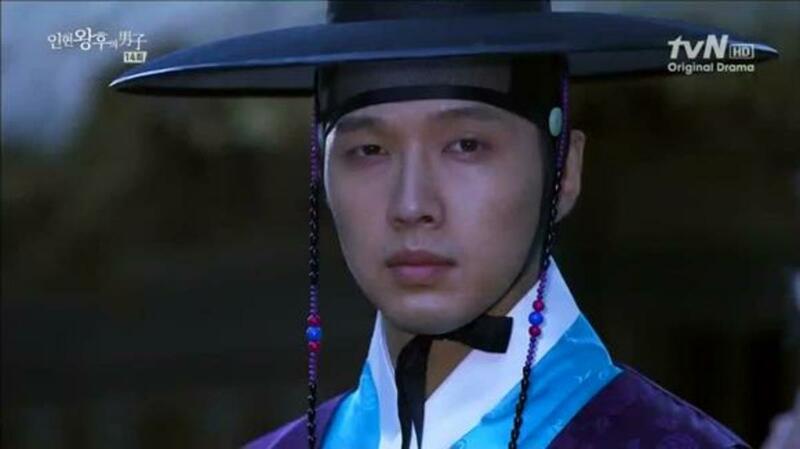 Special shout out to actor Ji Hyun Woo for portraying the character very well. I have to admit that the actor's charm played a big role to boost the likability of Kim Boong Do. Ji Hyun Woo is also well known for his projects Becoming a Billionaire and A Thousand Kisses where he was awarded Excellent Actor (Drama). Choi Hee Jin is a model and not-yet-famous actress casted to play Queen in Hyun in a drama series, “New Jang Heebin”. She was portrayed in the drama as pretty and slim on tv but is typical in person, fun-loving, not very smart, stubborn and impulsive. I enjoyed the fact that she’s an average head, admitting that she does not like achievers. Her contrast with Kim Boong Do’s character definitely kept boredom away. This is Yoo In Na’s first as a female lead in a tv drama and I think she did a pretty good job. Prior to this project, she had supporting roles for High Kick Through the Roof and Secret Garden. She won Rising Star Award for Queen In Hyun's Man during 2012's 1st K-Drama Star Awards. She is also a DJ of the radio program Let's Crank Up the Volume. Han Dong Min is a Hallyu star and Choi Hee Jin’s ex-boyfriend casted to portray the part of King Suk Jung in the drama series. Jo Soo Kyung is Choi Hee Jin’s smart and loyal friend/manager who supported and helped her become a popular actress. Jo Soo Kyung is one of the funny characters that made this drama interesting and very entertaining. This character is played by Ga Deuk Hee whose recent projects include King's Daughter, Soo Baek Hyang and Nine: Nine Times Time Travel. See Wikipedia for more info on the main characters and the rest of the Queen In Hyun's Man's casts. 3.) The other elements of the drama worth highlighting are the fights scenes, the color quality and special effects. I enjoyed the fight scenes very much. The crew definitely knew what they’re doing, taking advantage of the actors’ physical features, costumes, weapons and surroundings to make the fight enjoyable, more artistic and visually appealing. Furthermore, telling the story simply through the colors of the screen or background - showing the past as black and white and the present as colored – without a dialogue, is brilliant. This split color and even the split screen effects utilized to deliberately show the difference in time undoubtedly made the scene more dramatic hence with more impact to the viewers. Finally, 4.) I just love Queen In Hyun’s Man’s soundtrack and I’m sure you’ll do too. The QIHM's team did an amazing job with the official soundtrack. Music is essential when it comes to letting the viewers feel the emotions, convey what our characters feel and to work with the scenes without the song overpowering it as a completely different element. This batch of songs did just that and more. It’s a compilation of amazing songs that conveys the right emotions to perfectly complement the scenes. Here's the list of songs in the soundtrack. I've included a couple of YouTube videos below that I've found for this drama's soundtrack. Hope you enjoy them! Feel free to let me know in the comments section what you think of this drama and article.